Additional Info: - B.A : Piano Performance degree from Wheaton College(IL). 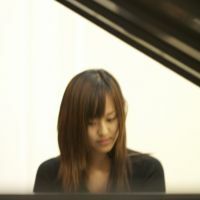 - M.M : Piano Performance and Collaborative Arts degree in Northwestern University. -Over 20 years of collaborative experiences with numerous instrumentalists and vocalists for recitals, competitions, and auditions. -has done many last-minute requested performances. - there maybe additional fee for rehearsals when the pianist has to travel more than certain distances. - fees for the performance may vary depending on locations and the length of the performance.